I recently heard about Stitch Fix offering maternity styles, and after having shopped myself for maternity with no luck finding things that were my style, I decided to give it a try. My only maternity items I’ve purchased on my own have been a couple pairs of shorts, a pair of pants, and some tank tops, so I want to look a little more stylish sometimes! 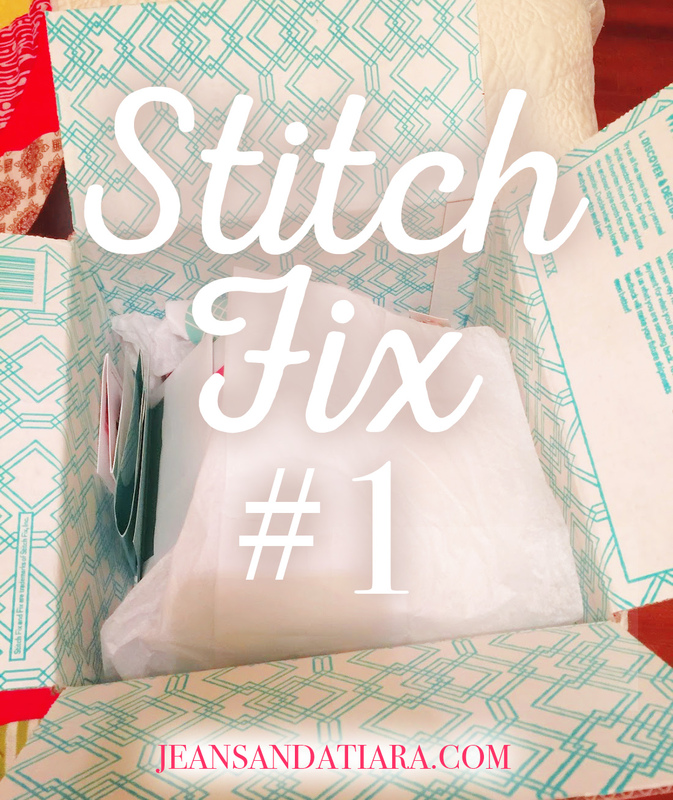 If you haven’t heard of Stitch Fix before, they are like a personal stylist. You tell them what styles you like and show them your Pinterest board, if you have one, and they send you five items which you can either keep or return. You pay $20 for the styling fee, which can also go towards any items you decide to keep. If you decide to try it, this is my referral link; I’ll receive $25 in credit in order to keep my addiction going. Okay, so on with what items I received! Have you ever received a Fix where you loved all the items and kept them all? No? Just me. This Fix, I asked for some dresses and skirts and pieces I could mix and match during the summer. The things I like about this dress are the fit and the color. It is so easy to wear and long enough that I can bend over without worrying. It has plenty of room for my bump to grow, but I think I could also wear it post-pregnancy. It also has this cute back scoop, which I really enjoy and hope you can see from my goofy picture below. This pencil skirt is made of a soft and stretchy jersey material, which fit what I was asking for in versatile pieces. It has a lot of ruching in the front, which should allow room for the belly to grow. While I’ve never owned a pencil skirt before, I think this navy blue one could go with a lot of tops. This is the top you saw above, and I love that it can be worn with the skirt or on its own. It has cute ruched sides, and I like that it is polka dots and not stripes! As a pregnant lady, I do not always want to be wearing stripes! It is made of a really soft material. This is the only one I wasn’t crazy about, because while it works great with the skirt, it doesn’t fit well on its own. It’s a little big, and I sent a request to Stitch Fix to see if I could get it in one size down. Besides the size, though, the quality is there and the material feels wonderful, like the others. I also like that it’s a henley top, which I could possibly use during nursing. This was probably my favorite of the bunch. I’m a fan of maxi dresses, and it is long and stretchy and actually fit well in the top for now. I’m hoping it will stay that way if my bra size goes back down, but it works great for maternity and nursing in the future. The top actually seems to stay where it is without there being a huge gap. The good news is I loved almost all of my items and decided to keep them! My favorites are the eyelet dress, the polka dot top, and the maxi dress. If you buy all five, you receive a 25% discount, so there was only one dollar difference between me buying the three items and buying all five, so a total of $210 vs $211. I’m all about economy. I’ve also seen a lot of mixed reviews from other’s Fixes, so I felt like I should take advantage of my stylist doing well on both my style and what I asked for. That takes care of my clothes spending for a while, but I haven’t been purchasing a lot since I became pregnant, just a few necessities like shorts and things. My pre-pregnancy dresses don’t fit, because they’re all a bit tight in the ribs. I’m also hoping that a lot of these can carry over into post-pregnancy clothes. I’m a happy lady with this box. It may be a while before I can order my next, but I look forward to it! I'm glad the first box worked out for you!! I love that maxi dress. It's super cute with your little bump! Man, you hit the jackbox. Everything looks so cute on you. I LOVVVEEE that maxi dress. That's a total win for even after baby. I really love the dresses that you got!!! I love seeing Stitch Fix posts, but I feel like some of the prices of things are a bit higher than I would want to spend. Either way, you got some cute stuff!!! So glad everything in the box worked out so well for you! I love that first dress-such a gorgeous color! They sent you such great items in your fix this month! I think that the eyelet and maxi dresses are my favorites, but the skirt and shirts are so cute too! I love that you get a bigger discount for keeping everything! oh my gosh i love it all. it could also be that you are so freaking cute that everything looks amazing on you. i love that green dress, and the skirt is super cute, and okay the maxi too. love it all!